To restore files from previous versions of your S: drive folder, open the My Computer (shown as “username on nodename” example: “rlh014 on AB1-1-111”) option on the Start Menu. 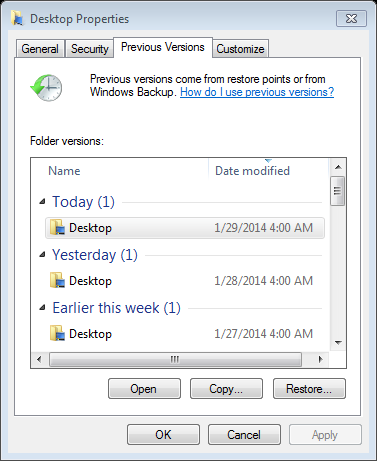 Right-click on the S: drive folder and choose Restore Previous Versions from the pop-up menu. 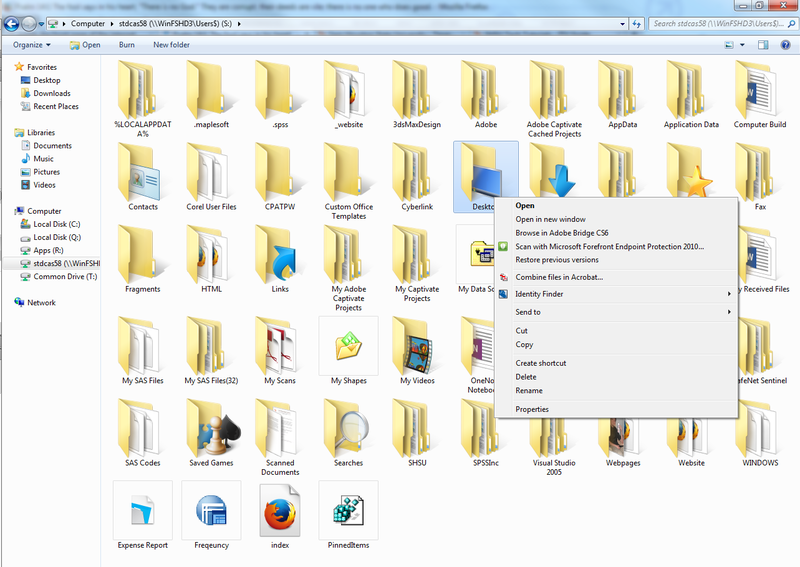 On this tab, there is a list of several previous versions of the S: drive folder. Choose the one that you want to work with by clicking it. View will allow you to open the folder and view the files inside. Copy will copy the entire folder to a location that you choose. Restore will restore the previous version folder to the current S: drive. CAUTION: This will overwrite the existing files. Please copy the folder or file that you are wanting to restore into a new location so that you do not overwrite any of the other files.